We got on the water at 5 am. We have been keeping track of the water flows recently, trying to align a day where we could get on the water early when there would be some slack above the dam. Finally the day came! The morning started off cool and foggy with no breeze. As we started fishing, things got off to a slow but fast start. Before even boating our first fish we burned through a tub of crawlers. Although we were getting a lot of bites, none were good enough for us to bury a jig. As the tub quickly dwindled, the first fish came aboard. 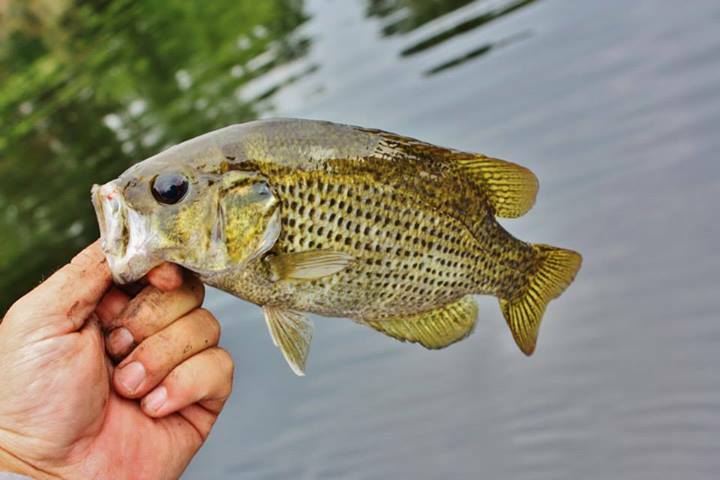 It was as we expected, a rockbass. 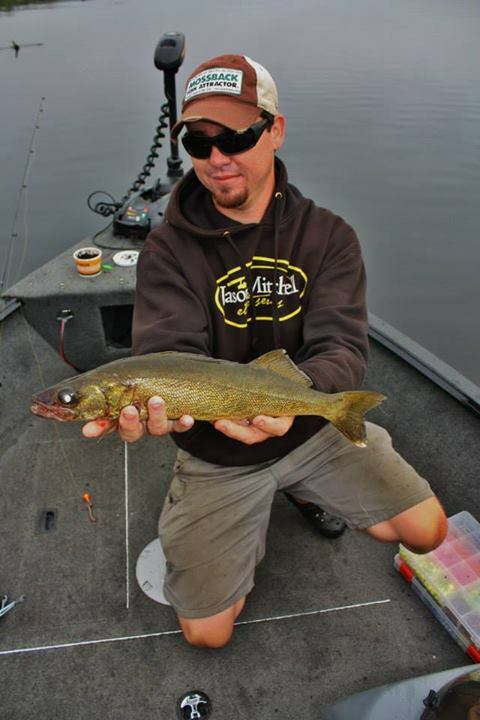 As we put a few more rockbass in the boat, we began moving around trying to locate where the walleye were holding up. The fog was thick and as the sun got a little warmer the walleye turned on. They were located very tight to woody debris in 12-14′ of water. They were relating to brush and smaller timber more than the large logs which usually changes as mid day approaches. Vertical jigging with 1/2 ounce jigs was the only way that we can pull these fish out from the trees without snagging constantly. Although, we did burn through our fair share of jigs! The hot color for the day seemed to be chartreuse yellow and pink. The one big thing that we were able to confirm was that today the walleye wanted whole crawlers rather than the standard half that we usually offer. 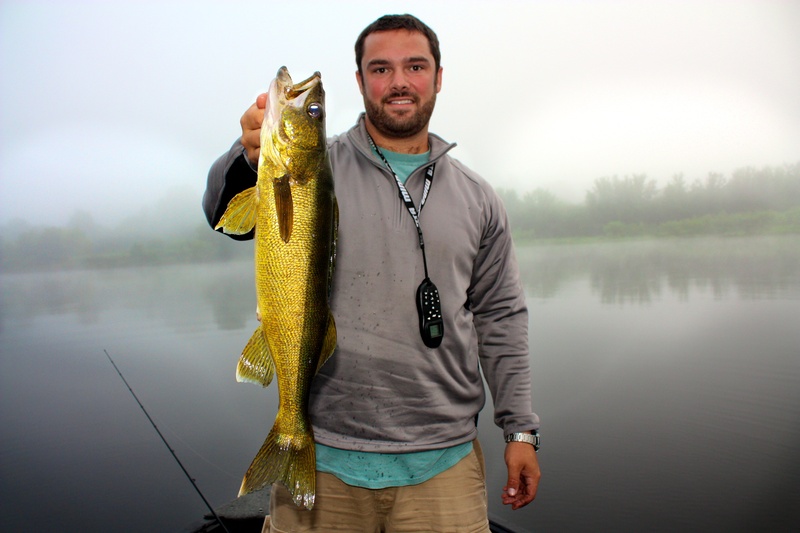 Check out Early Morning Walleye on our YouTube page for more action!